After a successful outing at the Road Runners edition of the Remy Martins Pace Setters party which was a celebration of Shobowale Ibukun’s (the bubbly owner of Road Runners) birthday some days back, Remy Martin is back with yet a bigger one! Things are definitely about to get interesting as the makers of the Fine Champagne Cognac have partnered with Mavin Records/323 first lady; Tiwa Savage to host the release party for her debut album ‘Once Upon a Time’. The premium event which will feature an exclusive performance by the trending diva, special appearances by the Mavin crew (Don Jazzy,Dr Sid, D’Prince and Wande Coal) will hold on July 6th, 2013 from 9PM at The Place by Papas in Lekki Phase 1, Lagos. Other expected guests are Waje, 2 Face and Banky W and Soundcity VJ Adams who will host the event. The Remy Martin Pace Setter party series is a premium platform specially created to celebrate the brand’s influential consumers. It is a gathering of VIPs at ideal locations that consists of beautiful A list celebrities, fashionistas, senior executives and more that promotes qualitative networking amidst great company, good music, the finest of Remy Martin cocktails, food pairings and Remy Martin based desserts. Scroll down for a sneak peek of what went down at the last Pace Setters party at Road Runners. With the BET still going on right now ,we are glad to inform you that our own ICE PRINCE ZAMANI has won the BET award for best international Act africa 2013 ahead of other nominees 2Face Idibia (Nigeria),Toya Delazy (South Africa),Donald (South Africa),R2Bees (Ghana) and Radio and Weasel (Uganda) . Super Star Wizkid reveals what his upcoming album will look like when it finally drops. The album was up for this month but pushed back till further notice but definitely before the year runs out. He’s got some heavy names on the album, lets see if he can top debut ‘SuperStar’ album. Enjoy! After the countless antics D’banj and his men finally pulled the curtain off their hotly anticipatedcompilation album ‘D’Kings Men’, which mark’s D’banj’s first major body of work in this post-Mo’Hits era. Preceded by a number of lead singles and leaks; ‘D’banj presents D’Kings Men featuring Kayswitch, J.Sol & Olamide’, houses 20 tracks revolving around the genres of hip-hop, pop and of course afrobeats. Plunging into the usual subjects of partying, love, wealth, fame and success, they manage to craft an experimental LP with numerous emotional layers (mostly pride, lust and anger), however D’banj validates that he might not endowed with the utmost musical gift yet his musical proficiency is praiseworthy. Here’s our track-by-track analysis of the year’s most anticipated – and what will undoubtedly be the most scrutinized album of 2013. DKM Intro (Do U Feel): Banger Lee ushers you into the ‘Lee Temple’ with a provocative intro, dominated by strings, snares and background vocal grunts. Christened ‘Do U Feel’, Classic D’banj; as he asks listeners if they feel the thrill as the musical journey kicks off. The ‘DKM Intro’ might not rekindle any stirring emotion, but you will feel entertained. Don’t Tell Me Nonsense: Tribal, Anthemic, Celebratory are some of the words that can be used to describe the second track on the LP; D’banj wails ‘Oya, oya, oya…’, supported by a powerful war-like chant on the clapping instrumentation on the heavy chorus. This song will not acquire D’banj any new major fans, what with the subliminal lyrics, empty spots here and there. Nonetheless the stadium-sound was achieved packing enough bass to get the party started. Why You Love Me: We are very indifferent about ‘Why You Love Me’. It is one of those album fillers that falls into the thumping organic sound of the album; does not have any major wowing feature nevertheless you cannot write it off entirely. Nous Les Meilleurs (We The Best) Ft Falli Ipupa: D’banj plays the parasitic role in this Don Jazzy produced Makossa number as he feeds off Congolese superstar ‘Falli Ipupa’ proclaiming ‘We The Best’. Sung mostly in French Falli Ipupa proves he can make you rotate in seconds, meanwhile the host (D’banj), struggles to keep up. Obimo (My Heart) Ft Kayswitch: Kayswitch flirts with the Igbo language and a contemporary high-life sound (reminiscent of an utterly talented D’Prince). By his side is D’banj, who unleashes his renowned Harmonica for ‘Obimo’. ‘My Heart’ is engineered to be the next wedding anthem or a huge love anthem at the very least. Finally: After a couple of weak performances, ‘Banger Lee’ finally bounces back with ‘Finally’. Destined to be a mega hit; D’banj carefully employs the features of a potential chart topper on this song, from the amazing beat to basic lyrics, to the catchy hook not-forgetting the playful dance instructions. It is safe to say that Dapo knew this number would cause a frenzy, which is why he infused the subliminal egotistic lyrics. Blame It On The Money Ft Big Sean & Snoop Lion: This song is a testimony that big names aren’t a guarantee for a ‘big’ song. Boasting a banging hip-hop instrumentation and a very catchy but cheesy chorus, ‘Blame It on the Money’; falls face flat, so flat not even Big Sean and Snoop Lion’s average verses could save the day, let alone D’banj’s. Kayswitch – For Example: A popular hilarious skit opens the banging street-hop ‘For Example’; Kayswitch continues his winning streak with the FearDevee produced cut. Ibadie (Bounce) Ft Kayswitch, Durella, Olamide & J.Sol: Let that booty bounce? Yeah! In approximately 6 minutes D’banj, Kayswtich, Durella, J. Sol and Olamide emancipate raunchy Afro-Hip-hop number celebrating the females’ behind. We can struggle to appreciate with over-lengthy albums like DKM for instance but this track was a little too long, therefore becoming exhausting after the first three minutes elapse, still Olamide and Durella battle to give a memorable performance. Silver & Gold Ft Kayswitch & J.Sol: ‘Diamonds are forever, you’re worth more than silver and gold…’ Jason Lopez sings boldly on the pop-rock/dance driven ‘Silver & Gold’. Packed with consistent kicks, drums and guitar riffs this cut is reminiscent of something you will find in a Jason Derulo or Chris Brown or Rihanna discography and has international appeal written all over it, although Kayswitch and D’banj try to sprinkle a little Afro in the mix. ‘Silver & Gold’ is a solid love anthem and one of the album’s more precious gems (maybe the diamond), but sadly it is one of the two tracks in the LP that milks J.Sol’s immense talent. Scape Goat (The Fix) Ft Kanye West: Yeezus creator Kanye West joins D’banj for ‘Scape Goat (The Fix). The high-life cut is very similar to past works of Daniel like ‘Fall in Love’ as they are obviously cut from the same cloth. Kanye rides comfortably on the rich Don Jazzy produced instrumentation serving two rap verses and compliments D’banj who sings about being a ‘scape goat’ for love; disregarding the lack of magic ‘Igwe’ or ‘Fall in Love’ posses, ‘Scape Goat’ luckily stands out. Kayswitch – Show My Logo: Kayswitch brags about his ‘logo’ on this weak dismissible high-life influenced number. Oliver Twist: D’banj expresses his crave for more women, relating to how the fictional character Oliver Twist asked for more gruel on this hypnotic afrobeats number. ‘Oliver Twist’s’ irresistible hip-shaking melody and infectious hook shot it to the top of the charts internationally; on that note we doubt D’banj’s craving is a problem as we don’t think women can resist the brilliance of this song. Ka Wo Soke (Hands Up) Ft Ikechukwu & Olamide: Undoubtedly the album’s weakest link; listening to ‘Ka Wo Soke’ sheds light on the agonizingly battle to create a club hit. The trio lavish resources to serve up this junk which sounds like an ugly distant relative of Olamide’s ‘Duroske’. Top Of The World: Months after its release, ‘Top Of The World’ brightest qualities have become even more luminescent, and D’banj’s performance is still one at which to marvel. Assisted by a more seasoned background vocalist, a layer of percussion and a guitar lick, D’banj allows his warm personality, steady and impressive singing voice carry the weighty message in the song, fighting and winning with the aid of his assistant belting out the lyrics with him. If Banger Leecould perfect this song live, the finale could become more enlightening. Kayswitch & J.Sol – Money On My Mind: Soul singer ‘J.Sol’ opens up this hustler’s anthem with his silky voice and Kayswitch quickly takes the baton from him fearlessly attacking the thumping beat, yet again Jason backs him up with well executed vocal runs momentarily? as he runs deeper into ‘Money’ and declares the love for vanity. Brilliant song and it is very inspirational! Olamide – First Of All (Remix) Ft D’Banj: Slightly re-produced, re-written and re-composed (yet slightly weaker), to ensure this massive remix hits home; indigenous rapper Olamide recruits D’banj for the solid remix of his hit single ‘First of All’. Cashflow Ft Kayswitch: Money is on the mind of D’Kings Men resulting in excessive ‘Cashflow’, which is one of the album’s lead singles. D’banj and his younger brother rant about the cash-flow on this synth hip-hop beat. Bachelor: Over tumbling and clapping drums, tambourine D’banj is letting the world know more about the cashflow and that he is still single on ‘Bachelor’. D’banj delivers a commendable performance, experimenting with hip-hop more. Trance Ft Naeto C: Amidst an Arabian/middle eastern inspired beat (sounding like a left-over from ‘My Beautiful Dark Twisted Fantasy’), ‘D’Kings Men’ makes a void dramatic closing with the Naeto C assisted ‘Trance’. Let me bring you guys up to speed real quick.. Sean Tizzle aka Mr. Sho Lee/Boogie Down signed to Difference Entertainment was formally part of Naija Ninjas (Sound Sultan’s Record label/group) and all of a sudden he broke out of the group, went solo and signed to Difference Entertainment. 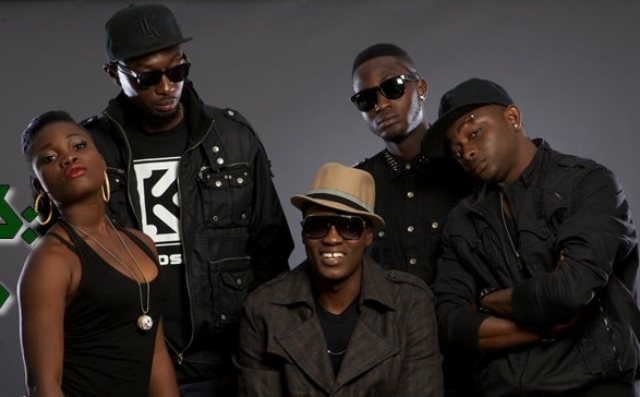 From my source he broke out of the group without paying his dues to Soundsultan. But since he singed to Kukere “D’Tunes” Producer they came out with Boogie Down & Sho Lee both songs currently doing great out there. But now watching Sound Sultan on KennisMusic Station claiming to have written ‘Sho Lee’ would only make sense; from the clip below looks like Sound Sultan didn’t get enough credit on the song ‘Sho Lee’ he said ” I wrote Sho Lee for Sean Tizzle but that’s another day’s discussion… the Revolution Shall Be Televised” Check the clip below & Share Your Thoughts!! Babatunde David Okungbowa popularly known as OJB Jezreel is a renowned musician and music producer. He has produced so many hits including ‘African Queen’ (2face Idibia). Currently, OJB Jezreel is making headlines for having a kidney related disease which has resulted in the necessity for a kidney transplant. The transplant which should take place in India will cost approximately 100,000 USD. Watch Vector Nigerian top notch rapper pray for him. Please save OJB! !